Tomorrow marks the first day of December. For a lot of families, that means it’s time to put out the decorations and pull out your holiday shopping list. 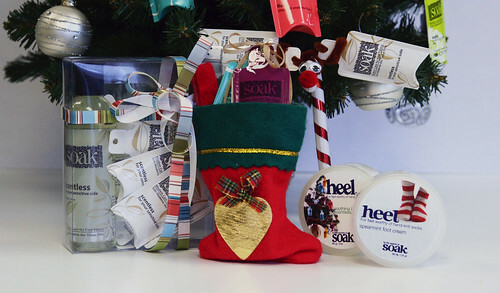 Why not include a Soak gift to add the finishing touch to your gifts this season? For our knitting friends, we know you all have the best of intentions, but even for the fastest knitter, there have been times when we’ve had to give someone their unfinished gift on knitting needles. How about giving them a tub of Heel with their sock IOU. Or a bottle of Soak for them to take care of that sweater when you finally manage to finish it. How about those of you who are giving away a finished quilt that you have lovingly laboured over for hours? Giving a bottle of Soak and a little instruction sheet to will help keep the quilt looking great for longer. Does your holiday tradition include filling up stockings? How about Heel for the jogger, sock knitter, mall walker, or yoga enthusiest in your family? Do you know a new mommy? How about some dye-free, fragrance-free, biodegrable Scentless Soak to wash baby clothes? 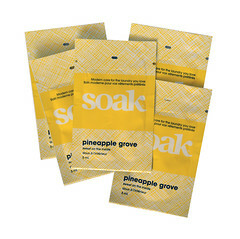 Scentless Soak is also great for your loved ones that have sensitive skin or are sensitive to fragrances. Do you know a world traveller? 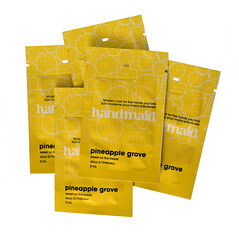 Travel packs and mini-soaks are great for washing clothes in their hotel sink. Read our other 101 uses for Soak posts for other fun items that you can wash with Soak. Remember to place your online order within the next week to ensure that they are delivered before the 25th. If you get a new winter jacket or boots this season, please consider donating your old winter wear to be reused by others in your community.